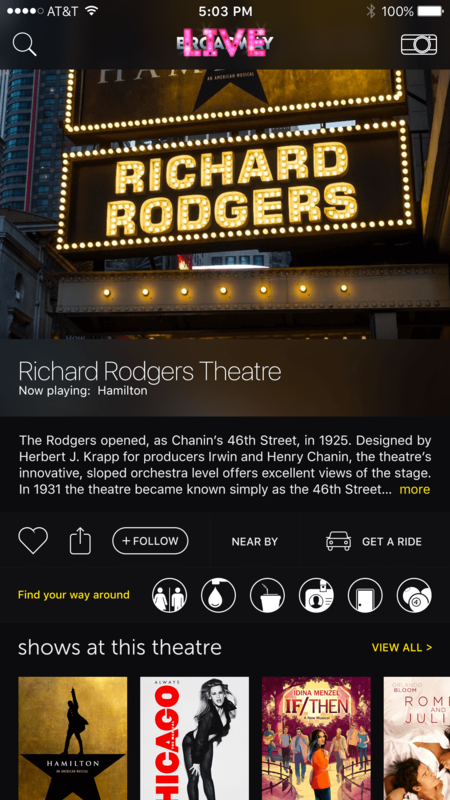 When creating the Broadway Live app and interface, we leveraged iBeacon technology to give users a seamless and unique experience from street to stage. The images to the left show two different contexts of the same page. Based on the location, the UI & content changes to give the user what they need in the moment. Using advanced GPS technology, we placed virtual fences around every theatre on broadway. 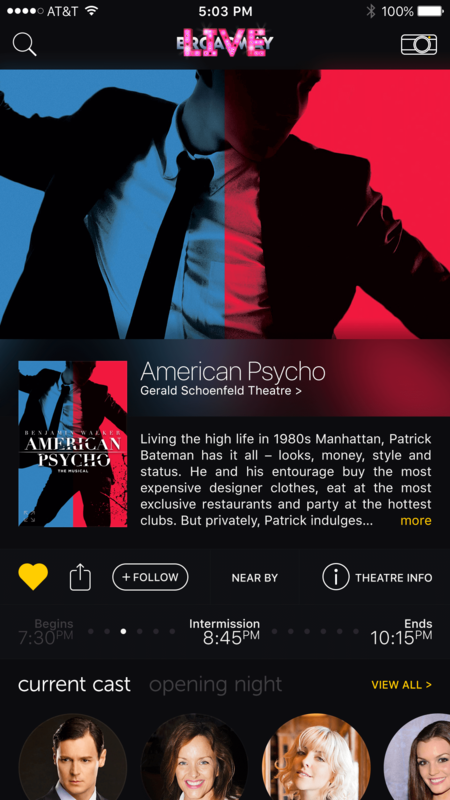 Once a user enters one of the geo-fenced areas, their app UI & UX is updated to give them relevant info about the theatre. 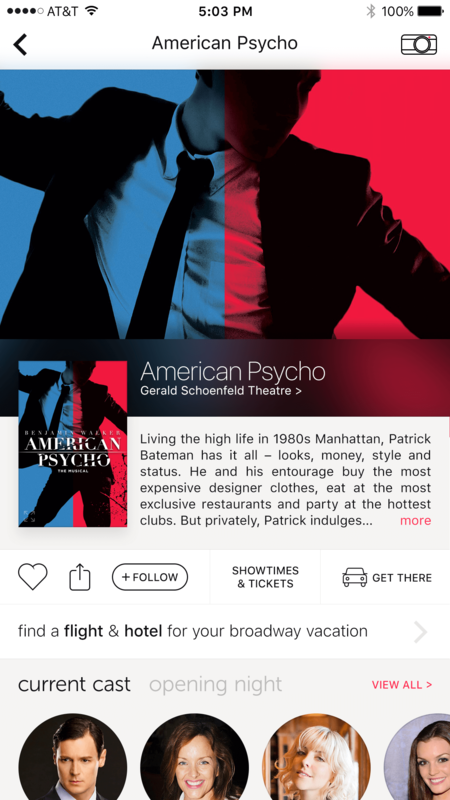 Inside the geo-fence, “Showtimes & Tickets” becomes “Near by” to give the user quick access to restaurants, bars & attractions around the theatre. “Get There” becomes “Get a Ride” for those already at the theatre and in need for a ride home or to a place near by. A theatre guide appears to help find the restroom, water fountain, concession or to get help from staff among others useful theatre info. Implementing proximity aware technology for Icon Parking, we notified parkers when they were near a garage in Manhattan. By combining proximity notification with a coupon driven marketing campaign and frictionless scanned payment solution, we dramatically increased revenue opportunities while earning in-kind advertising dollars from Icon. By developing a revenue generating, augmented reality print advertisement, we created brand awareness by cross marketing mobile users that are also potential buyers of Audi vehicles resulting in insane engagement and response rates.